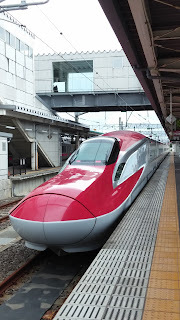 I’m currently heading from Northern Honshu to Central Hokaido. A long bit of distance. Someone said about 600 miles. 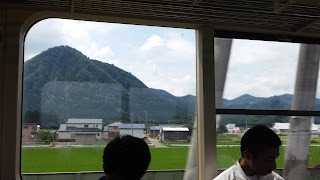 We are on our second bullet train, having left Omagari at 0640 and will arrive in Oita almost twelve hours later. My traveling companions are Gayle and Mario Borg, Seiwakai instructors who live in Sydney, Australia. Some of our Omagari group decided to fly because of the distance, but the trains are a much better way to see the people and sights of Japan. You can also sleep well on them and eat or drink. Why we can’t create a rail system as efficient as the JR system is beyond me. What a wonderful way to travel. 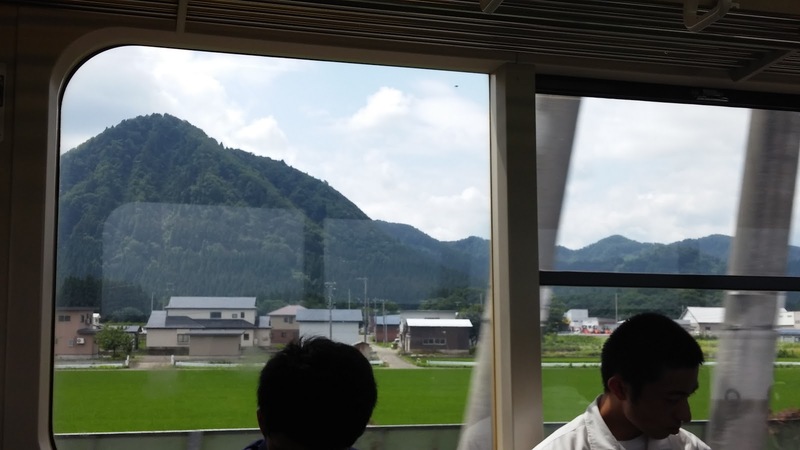 We are currently almost to Nagoya, going about 180 mph, the countryside rolling by like a movie panorama. Yesterday turned into an inadvertent rest day for me, much needed and much appreciated. I asked to skip the morning session to take the train over to Akita to activate my JR (Japan Railway) pass, which can only be done in major cities. It’s about a 50 minute trip and I got over and took care of business and headed back to Omagari with some time to spare. Had my gi in my shoulder bag and started for the Budokan. I traveled a couple of blocks when the bottom fell out and it started raIning cats and dogs and I was totally drenched. I still had some time so thought I’d head over to the ryokan first and change clothes and maybe catch a ride back with Mr. Fujiwara. I changed clothes and since my knee was hurting from the walk, I decided to lie down for a few minutes and elevate my leg. Out! Like a light. Awakened at almost 1600 and felt a bit guilty because I was probably needed for a grading panel for those grading for Seiwakai, but there was nothing to be done about it now. When Mr. Fujiwara returned, I apologized to him for missing the session and he laughed when I told him what had happened and didn't seem too concerned. As I keep nodding out while on the keyboard. Long day.